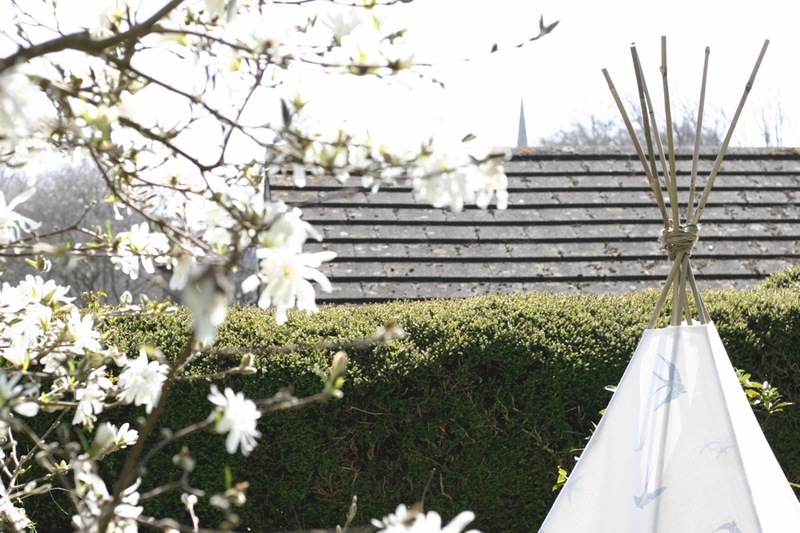 What better way to spend time in the great outdoors than in your very own handmade teepee? A hideaway haven for big and little kids alike, this magical hideout provides the perfect setting for an alfresco feast or even magical movie night. 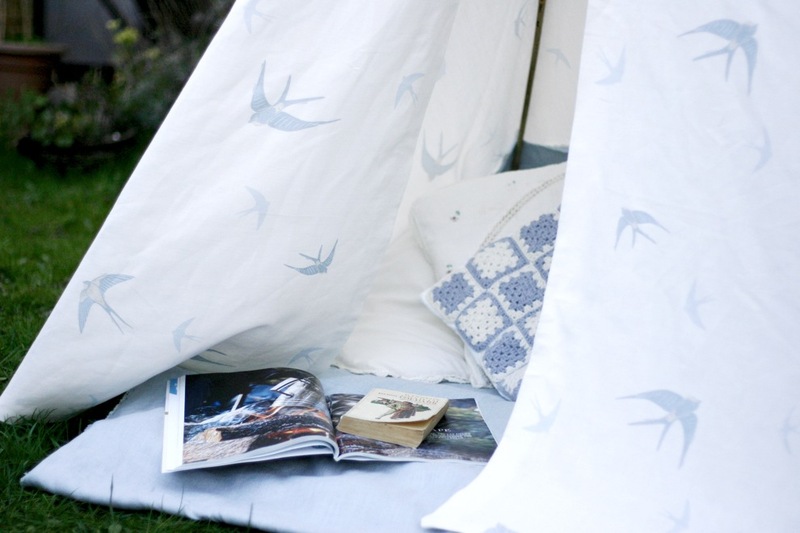 Layered with cosy cushions for a fort-like feel, join us as we take inspiration from our blogger pal Ruth as she shares her brilliant DIY tee-pee using our brand new Blue Bird print. Don’t you just love spring? The longer, lighter days invite you to step out and soak it all in and every day brings the summer months that little bit closer. So, when it comes to outdoor fun and games, why should children have all the fun? As the temperature begins to soar (I hope! 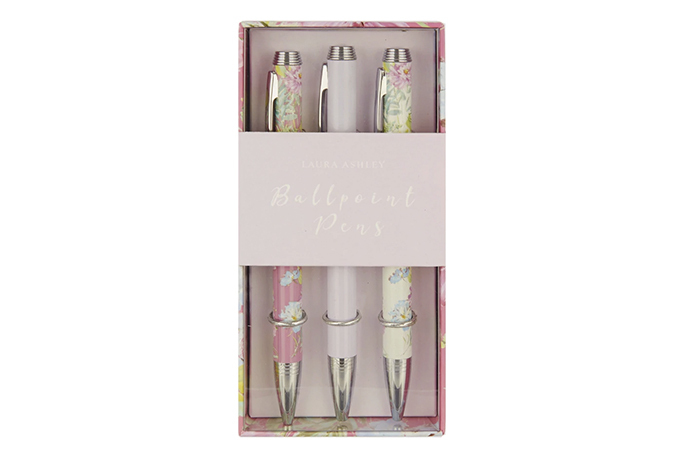 ), I’m longing to play out just like a child – think water fights, scraped knees and grass-stained clothes. All are hallmarks of a good fun time in the sun. 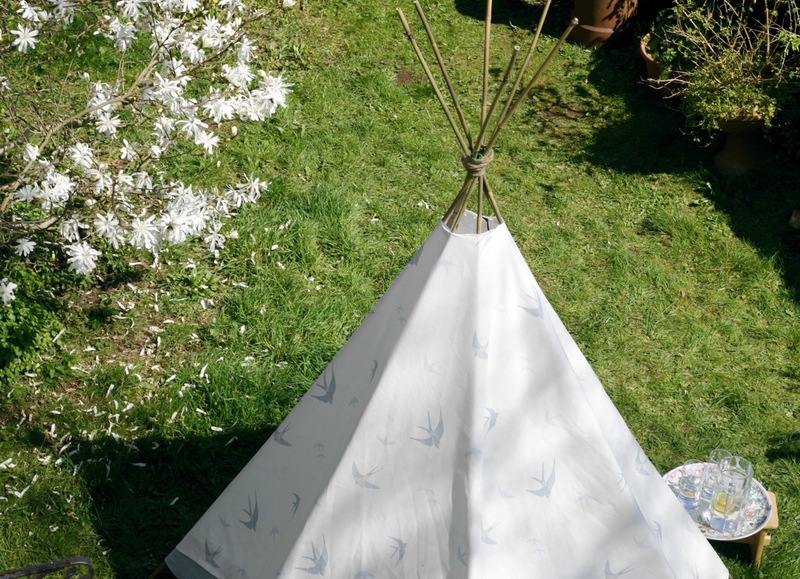 To usher in my nostalgic summer, I decided to build a teepee in the garden. But to keep things a little more grown-up I opted for the sweet Blue Birds fabric. 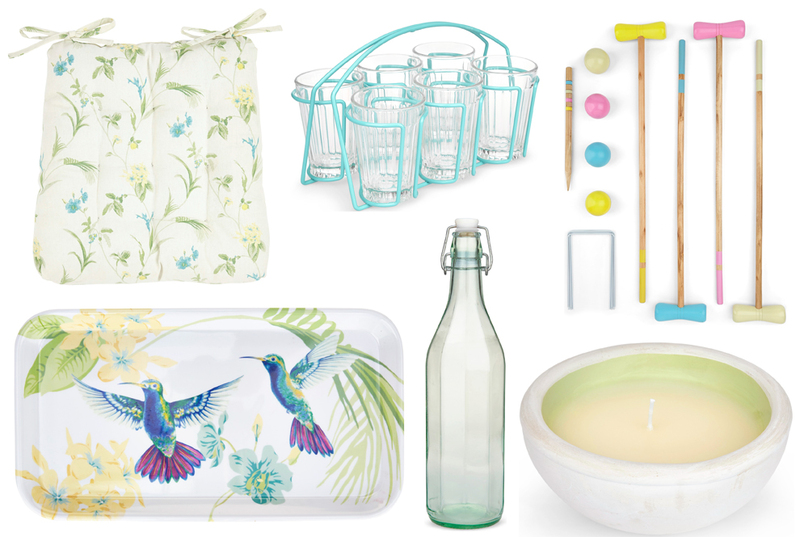 I just love the pretty bird print, and the light cream and blue hues are an ideal pairing for green grass and blue skies. 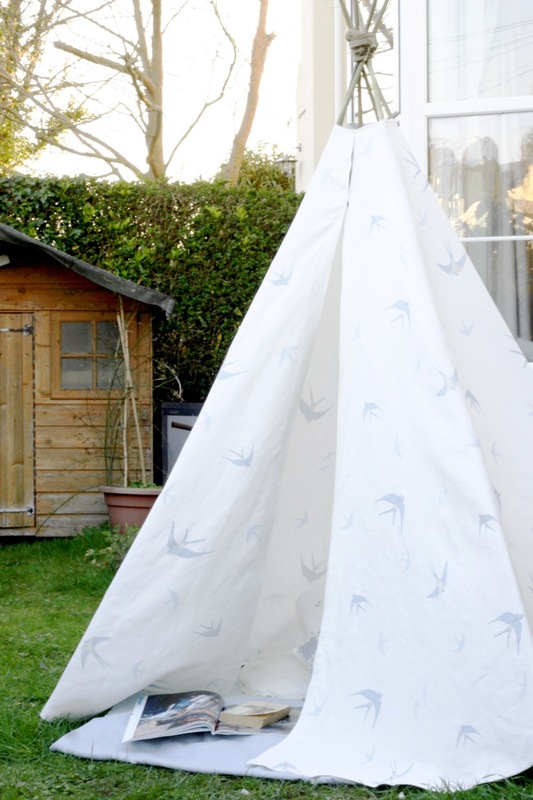 In terms of the actual construction of the teepee, I wanted to keep things super simple and opted to follow a brilliant ‘no-sew’ teepee tutorial I found on Pinterest. 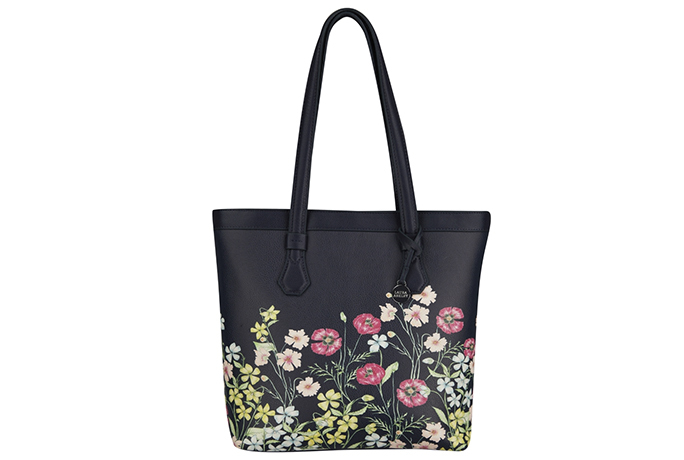 The process was surprisingly simple and the fabrics were so easy to work with. Since I needed a wider piece of fabric than the Blue Birds print, I simply attached a measure of Bacall fabric in seaspray, in order to build up the width. I did this with iron-on adhesive to keep things extra quick and easy. 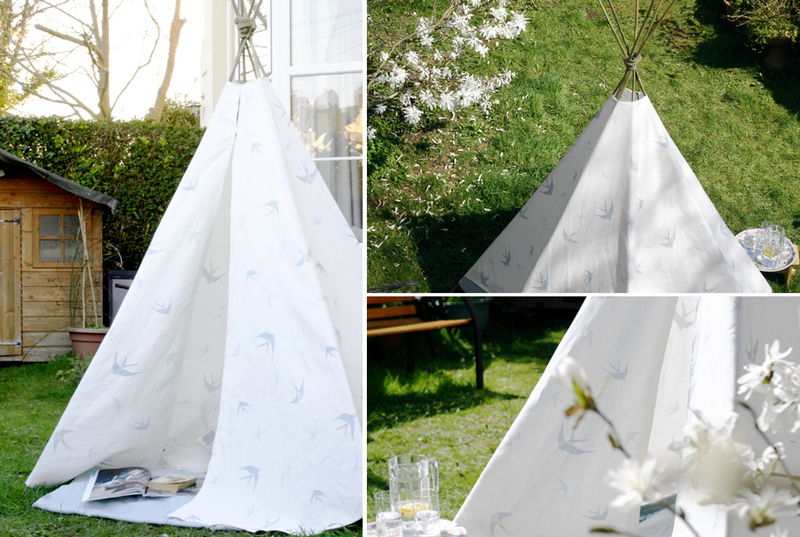 The result of this extra fabric was a little crescent of pale blue fabric at the back of the teepee. Since garden canes are so cheap and easy to come by, I opted to use these instead of plastic plumbing pipes and, while they might not be quite as strong, I really like how they look against the fabric. They blend in beautifully into the garden, too. 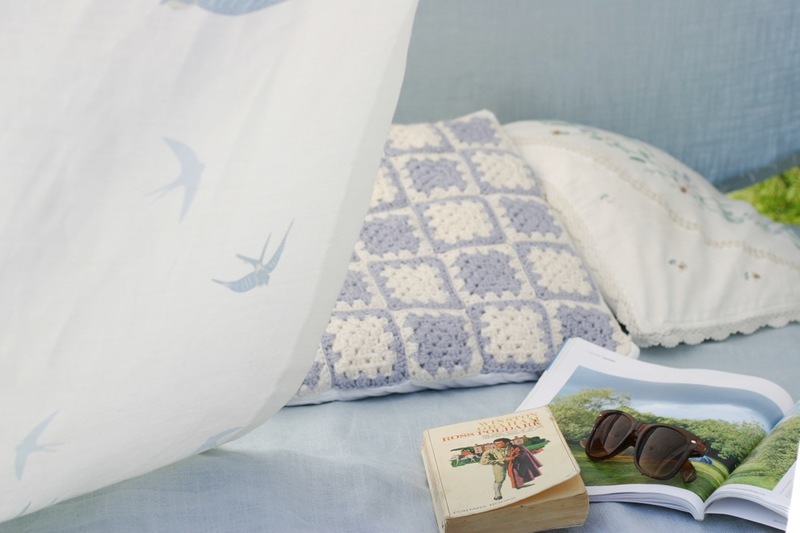 Since comfort is king, I piled up pillows and cushions on top of a layer of the Bacall seaspray fabric (which was on top of a waterproof mat) and the result was a perfectly soft and pretty space, ideal for garden adventures. That said, it is also rather handy for reading and snoozing in peace. 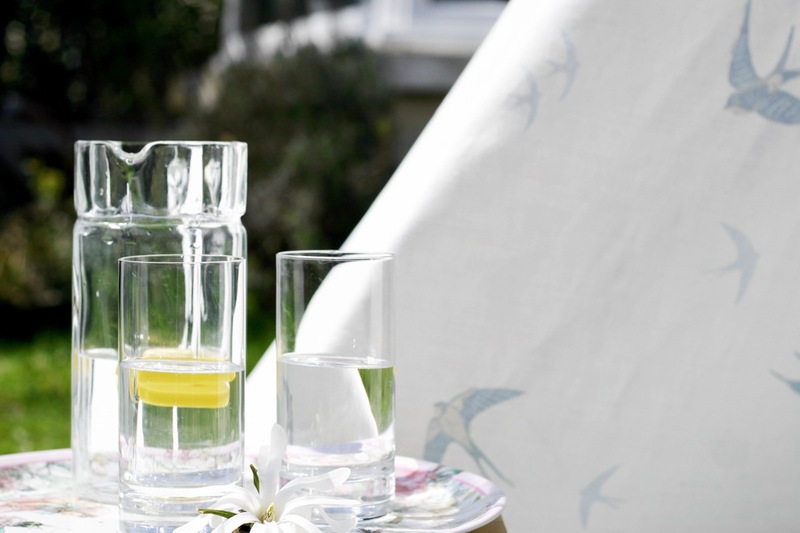 Just add a heap of magazines, a good book (Poldark is currently topping my to-read list) and a long drink and you’ll be all set for summer. For more of Ruth’s crafty creations and styling expertise, hop on over to her blog Gathered Cheer where you can keep up to date with her next blogging adventures! Feeling inspired? 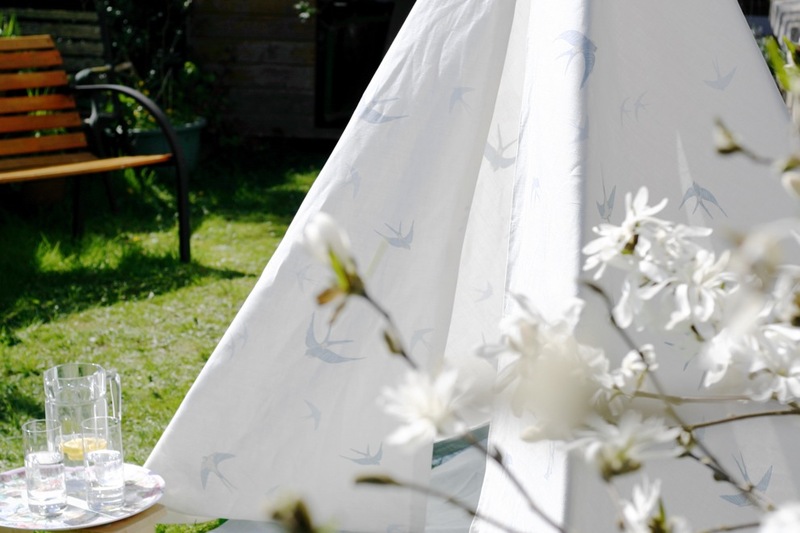 Browse our full range of fabrics now to kickstart your teepee project just in time for summer. From tropical bird prints to blooming florals, take your pick from our wide range of fabric patterns for all your crafty creations here! 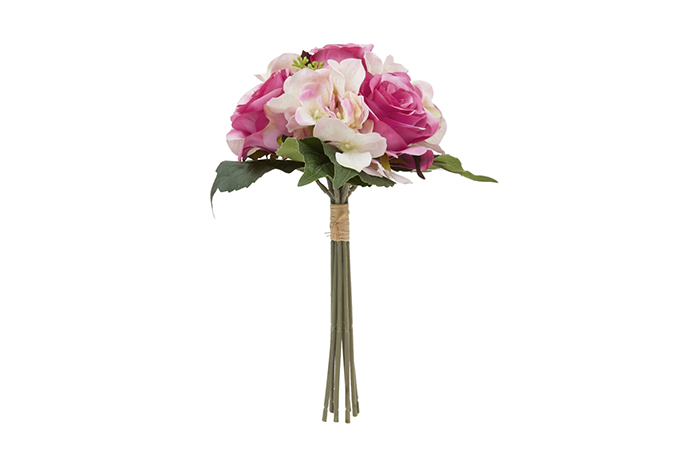 This is just gorgeous! 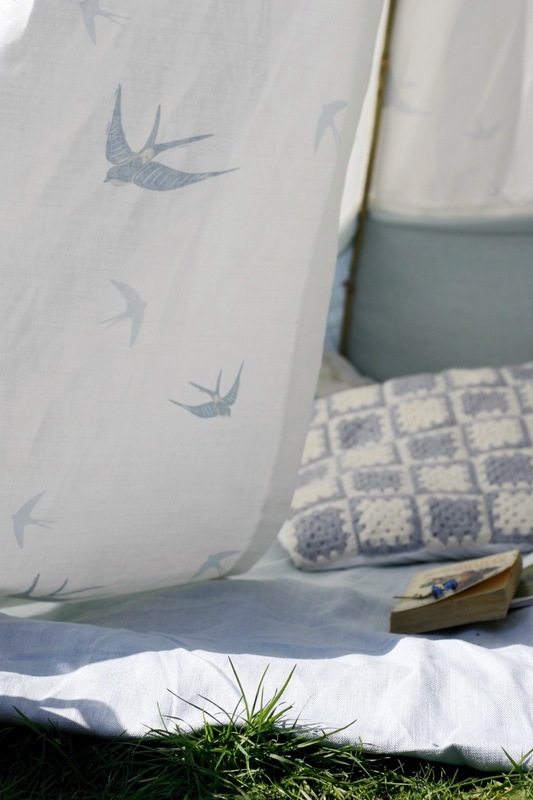 I love the seaside blues, it’s definitely something I’ll be attempting to build this Spring.